Recently, I’ve been sending articles out into the big wide world for publication. I will be sharing a few of them here over the next few weeks. 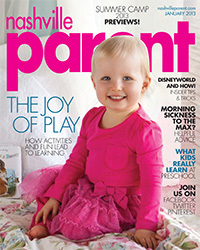 The article below was recently published in the magazine, Nashville Parent. As most parents imagine, there are secrets to getting your children to love reading. But the secrets are surprisingly simple. Read yourself, read to them and let them read anything to themselves that they want. We don’t expect our children to learn to drive before they’ve watched us behind the wheel for 17 years. We shouldn’t expect them to learn to read before we’ve read and read and read in front of them and to them. We all know that children do what we do, not what we say so if we want our children to be readers, we ourselves have to be readers. And as is true with children, we as adults can read just about anything we want in order model good reading behavior. As long as we are prioritizing reading over other activities, our children will too. If I ever find myself getting too busy to read, I read middle grade or young adult novels. By definition, they can be easier to read but equally if not more thought provoking than adult books. Some recent favorites include, Ok for Now by Gary Schmidt, Inside Out and Back Again by Thanhha Lai and A Long Walk to Water by Linda Sue Park. And then read aloud to your children for as long as you can and definitely after they have started to read on their own. Read often during the day, not just at bed time. Keep books all over the house to make this easy. 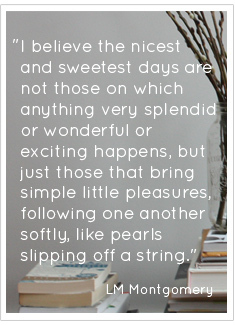 A basket at the breakfast table, a basket in the car, books in your purse. Browse children’s literature blogs to find great read aloud titles. There are tons of them but my current favorites are Seven Impossible Things Before Breakfast, Playing by the Book and A Fuse #8 Production. Research shows that to be strong and avid readers, children need to read a lot. One study reports that proficient fourth grade readers read for at least 2 and a half hours a day while the poorest fourth grade readers read for only half an hour a day. Often we look for magic bells and whistles to get our non-readers reading when the solution is so simple. Let them read. Literally think in terms of quantity not quality, at first. Jim Trelease, author of The Read Aloud Handbook states, “[Research] demonstrates the powerful role that recreational “lite” reading…plays in developing good and lifetime readers. Is it classic literature? Of course not. Does it have a better chance of creating fluent readers that the classics would? Definitely. And can it eventually lead to the classics? Yes, and certainly sooner than would The Red Badge of Courage.” So let kids read series books, comic books, e-books. Literally whatever they want. My favorite places to go to find great titles that children love include the Children’s Choices Project (yearly lists of books kids love are posted as far back as 1998) and the Cybils Awards list, which this past year added an entire category for book apps. With secrets revealed, parents can do simple things to encourage their children to read. Without the pressure of flashcards and tutors both parents and children alike can rediscover the joy of a good story and time spent sitting still. NASHVILLE Parent?! I gotta go grab a copy! And, oh, I just noticed you mentioned 7-Imp. Aw, thanks! Congrats on your article – such sound, true advice!